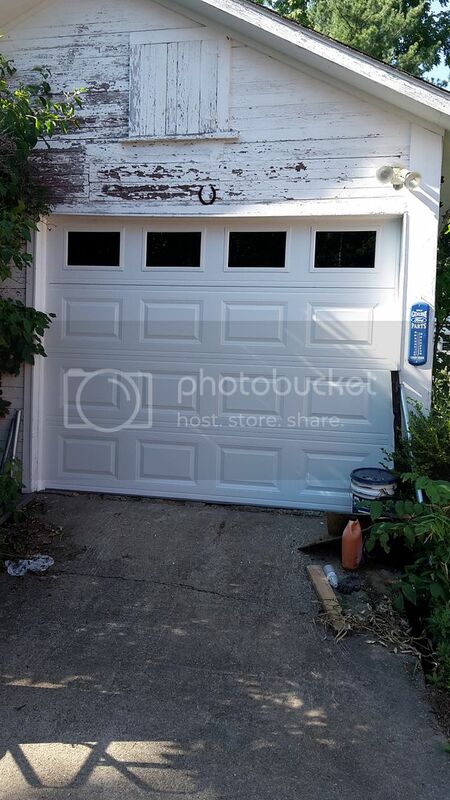 Finally broke down and got a new garage door. Not sure if it classifies as a tool but it sure makes getting in and out of the garage a lot easier. Told them I needed a spare remote for my bike and he smiled and gave me one. Door is insulated and windows are high enough that I can see out from the inside but people can't see in from the outside. The chipped paint gives it character. Doesn't seem like paint lasts as well as it used to. Did not know what to expect with that subject title. Lol. Sorry about that, didn't dawn on me at the time. It is funny though. Garage needs a good scraping and a couple coats of paint before winter.